Narrator sounded like the dog from the movie "UP"
What did you love best about The Last Punisher? True life accounts of events. Very well written, the "narrator" really took away from the overall story by making it harder to even listen. Vet your narrators. They should at least have a 3rd grade reading level. 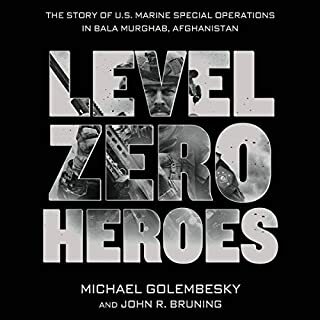 Michael Golembesky follows the members of U.S. Marine Special Operations Team 8222 on their assignment to the remote and isolated Taliban stronghold known as Bala Murghab as they conduct special operations in an effort to break the Taliban’s grip on the Valley. What started out as a routine mission changed when two 82nd Airborne Paratroopers tragically drowned in the Bala Murghab River while trying to retrieve vital supplies from an air drop that had gone terribly wrong. Special Forces at it's finest! What did you love best about Level Zero Heroes? A great account of operations done by 82nd Airborne Special Forces in Afghanistan. It details what happens and how they deal with the situation dealt to them following a missed supply drop that lands in a body of water and the chaos that ensues with combat and direct action. This book kept me interested, though it did have some dull spots where it left you wanting to just get to the next chapter to find out what happened. I would recommend the book, but only to those who would enjoy the details of the events along with the monotony of military life and politics. This book didn't really stay with me when it was all said and done. Remembering portions of it proved difficult after the read was complete. I'm not sure if it was just the way the author wrote it or what... overall though, I liked the book. The dedication and honor that is displayed by the men trying to save their fallen brothers and not giving up. Would you listen to House to House again? Why? This book was incredible. It captured the real military "hurry up and wait" in the beginning, and then once the action started, you can't turn it off. 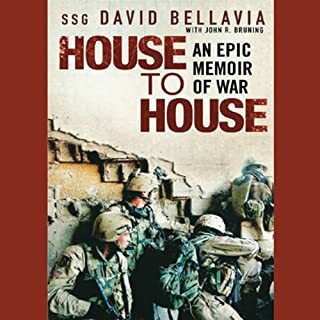 It's a combat narrative that is written by SSGT David Bellavia... a true hands-on account of the battle of Fallujah and how this Army Infantry Platoon was performing an 11 day house to house search to drive Enemy Forces out of the city. There are times where you feel that the author isn't going to make it out of the situation, then you remember, Wait, he wrote the book! It's gripping!!! This guy killed FIVE insurgents in what came down to hand to hand combat, along with countless others throughout the city during the push that left them surrounded and far ahead of all other forces entering the area. From entire houses rigged to explode when entered, to straight up ambushes and assaults by the enemy. SSGT Bellavia earned The Bronze Star, The Silver Star and the Conspicuous Service Cross (New York State's highest military honor). This book will keep you glued to it until the last page is turned. Truly a great book and I will read it again! SSGT David Bellavia... a true American Hero who never gave up no matter what the enemy threw at him. I wish I had the time to listen to the entire book all in one sitting. I found myself looking for opportunities and time to listen to more each day! Would you listen to 13 Hours again? Why? Yes, This book kept me interested from the very beginning when it reaches back into history to relate previous incidents in Benghazi as well as historical battles and background on how Benghazi came to be. 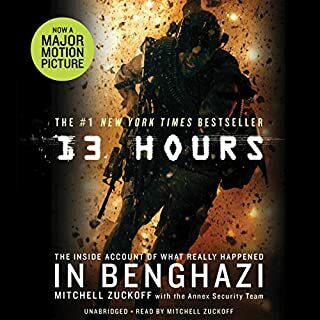 As opposed to Benghazi under fire, this book is told from the standpoint of the CIA Annex security team that was told to "Stand Down" that fateful day on September 11, 2012. The details of the accounts really bring more of the events into perspective and a lot more than what you could ever hope to hear about on the evening news. It also gives a contrasting view of the "Stand Down" order and why/how it was given. To me, the responsibility for the delay in responding should have fallen on the CIA station chief that was dead set on enlisting the help of the 17 February Militia to assist in the attack on the embassy in a feeble attempt to keep the "Secret" CIA Annex a secret by not sending this quick reaction force to assist. The details of the battles and how each one stood out on it's down as the story progressed..
We need to go NOW! It also sheds light on the last hours of Navy SEAL Tyrone "Ty" Snowden Woods and Navy SEAL Glen "Bub" Anthony Dohrety and how they came together on that fateful evening/morning. In fact, Glen apparently never fired a shot and was killed with Tyrone when a mortar struck the rooftop position they were on. Glen had climbed up to visit with Tyrone after arriving from Tripoli with a rescue team that included two Delta Force Operators (who did not participate in the battle, but received awards for heroism). 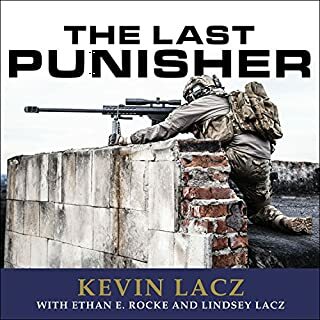 It details how Kris "Tonto" Paronto, Mark "Oz" Geist and John "Tig" Tiegan (all part of the original response team), fought off wave after wave of attackers and the troubles each of them faced as they took the fight to the attackers. Explanations of how they heard rumors that it was an attack that was ignited by a Youtube video, and how the operators knew that wasn't the case. How they searched for Stevens to the point of nearly dying themselves from Smoke inhalation, toxic gasses, etc. It tells how following the initial assault on the Embassy grounds, most of the fighting then took place at the CIA Compound about a mile away. That is was an organized military style attack, not a bunch of demonstrators, that quickly dialed in and landed three perfectly placed mortars on one rooftop during the battle... again, not an easy task for goat herders. This book puts you right next to these heroes and the battles they fought with the attackers, their station chief, the flames in the Embassy building and better judgement. I would STRONGLY recommend this book for anyone wanting to know what REALLY happened in Benghazi, Libya on September 11, 2012.